A trader addicted to gambling was sent to jail after using a cheating scheme to steal over £40,000 from homeowners to fuel his compulsive gambling habit. 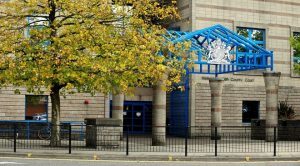 The Wolverhampton Crown Court judge decided to put him behind bars, announcing a 26-month jail sentence. The 30-year-old Shane Rollinson deceived his unsuspecting victims, making them believe that he was an award-winning and experienced builder and swindled more than £40,000 from them. However, he did exactly the opposite such an expertise would suggest – getting on site occasionally, overcharging his customers for jobs which were never finalised, demanding customers to give him the due money in advance and doing such a lousy job on the projects that his victims were forced to pay thousands of pounds to make them right. Rollinson pleaded guilty to charges of unfair and fraudulent trading. As mentioned above, he was sentenced to 24 months in prison and was also banned from occupying a director’s job for a period of eight years. The investigation found that the money swindled were used by the man to fuel his gambling addiction. At the court hearing, it became clear that he deposited more than £12,500 to the gambling website of Coral Interactive in the period from October 27th and 31st, 2016. 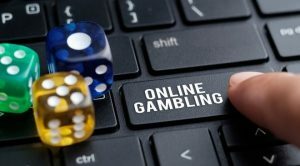 Rollinson was also found to have made substantial bank transfer payments to a number of other online gambling operators, including bet365, Paddy Power and Skybet. At the court hearing, it became clear that Dudley trading standards officers found that in the summer of 2016, Rollinson agreed to build a family home extension for David Cook, a house owner in Sedgley, on a price of £26,000. Mr Cook and his family paid Rollinson in advance in full but still had to spend an extra amount of £4,000 to complete the job which Rollinson started. The floors and roof had to be finished, electrics had to be refitted, the block paving had to be layed again, and other repairs had to be done on the works which the alleged “award-winning” builder had initially performed. According to an expert, all construction works on the desired home extension should have cost £15,000 at the most. Mr Cook and his family, however, were not the only victims of Rollinson. Dudley Trading Standards officers found that was one of the three cases of such a scheme which involved Mr Rollinson. In addition, one other case was also brought forward by the trading standards team in Wolverhampton.